The former vice president will lead the Penn Biden Center for Diplomacy and Global Engagement. 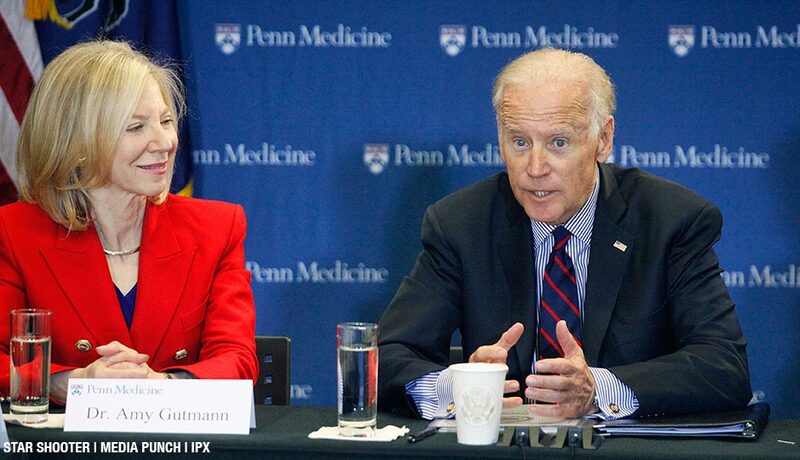 By Dan McQuade·	 2/7/2017, 11:55 a.m.
Vice President Joe Biden, pictured with Penn’s Amy Gutmann, launches a “moonshot” initiative to hasten a cure for cancer at Penn Medicine’s Abramson Cancer Center in Philadelphia on January 15th, 2016. Joe Biden is now a Penn professor. Penn officially announced on Tuesday what had been reported and rumored and talked about on an open mic by Biden himself: that the former vice president would join the faculty as the Benjamin Franklin Presidential Practice Professor and lead the Penn Biden Center for Diplomacy and Global Engagement, which will be located in Washington, D.C., and have an office on Penn’s campus. Biden’s spokesperson told the Inquirer he’ll also have a role at the University of Delaware, and isn’t sure how much time he’ll spend on campus. At Penn, Biden will hold joint appointments in the Annenberg School for Communication and the School of Arts and Sciences, with a secondary affiliation in the Wharton School. Yes, Biden went from zero professor jobs to three professor jobs just at Penn in one day. Penn says the Biden Center for Diplomacy and Global Engagement will open its offices in D.C. sometime later this year.